According to this epic 'Game of Thrones' theory, Littlefinger is still alive and likely to have a major role in Season 8. "Game of Thrones" Season 8 is only a few short months away from its premiere and fans are going to great lengths to try to figure out what will happen in the final six episodes of the series. One theory even goes as far as to suggest that Littlefinger's death was, in fact, a charade and the greatest trick this master manipulator has ever pulled. According to this theory, not only is Littlefinger alive, but he also has a pretty important role to play in "Game of Thrones" Season 8. How is this even possible, you ask? Well, a theory offers quite a few convincing evidence that supports this "wild" claim. Let's dive right in. Littlefinger's death scene was arguably the weakest part of the show's seventh season. Seeing him on his knees, crying like a baby, after being outmaneuvered by the Stark kids, was ridiculous, to say the least. I mean, we are talking about the man who has been involved in every major event in the last 20 years of "Game of Thrones" history: Robert's Rebellion, the conflict between the Starks and the Lannisters, and Joffrey's poisoning. All in all, it was Littlefinger's schemes that tore the Seven Kingdoms apart, and as a result, he became one of the most powerful men in Westeros. So, having such a man utterly humiliated by the bunch of kids, seems a bit out of character, don't you think? Well, if this theory is to be believed, Littlefinger, quite literally, wasn't the same man at the time of his "death." I'll explain. 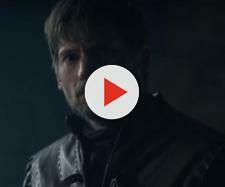 Credit to Neo, who perfectly explained how Littlefinger faked his death in a now-famous YouTube video that you can watch down below, and to Redditor MrSilenceT, who further explored this idea in his epic "Game of Thrones" end game theory. According to this theory, it was a Faceless Man who died in Littlefinger's place. The theory then goes on to suggest that the real Petyr Baelish was actually long gone from Winterfell by the time of his "death." Let's explain how. First of all, it's important to realize that it was only after Bran came to Winterfell and repeated the infamous "Chaos is a ladder" line that Baelish realized he was in trouble. Arya's return only made things worse so he had to act fast. Remember that scene from Season 7 Episode 5 when Baelish tricked Arya into finding Sansa's letter? Well, there was one little detail at the very beginning of that scene that suggests that Littlefinger's real plan wasn't all that turning sister against sister nonsense, but something else entirely. The first 30 seconds from the clip down below are important. You see a blonde girl leaning toward Littlefinger and whispering something along the lines of "your time is up" in his ear and he proceeds to give her a coin. Strangely enough, Littlefinger's actor, Aiden Gillen, used the same words in an interview following his character's "death." "I don't think Baelish likes to shed tears, certainly not in front of people," Gillen told the LAngelesles Times. "If we saw some emotion, I don't really think it was sentimental," he added, "I think it was involuntary: Your time is up." Now, obviously the actor wasn't talking about that scene with a blonde girl, but the wording is suspicious. Now, back to the theory. According to Neo, the blonde girl was a Faceless Assassin and the coin Littlefinger gave her was the iron coin from Braavos. She was playing the role of a maiden in Winterfell. But after Littlefinger gave her a coin of great value, she agreed to play the role of Littlefinger and wear his face. And before you disagree, yes, it's absolutely possible for a Faceless Man to wear a face of a person that's still alive. i mean, how else can you explain the fact that Arya saw a person wearing Jaqen's face, as well as her own, right before she went blind in the Season 5 finale? According to MrSilenceT, a Faceless Assasin was sent to Winterfell to take Arya's life, because she abused the magic of the Faceless Men by slaughtering the entire Frey family. Littlefinger, on the other hand, didn't care about the fate of Arya Stark. Even if he did manage to get rid of her, somehow, it wouldn't accomplish anything, since Bran, with all his knowledge, would still be around. All Littlefinger was interested in was fleeing Winterfell and tricking everyone, but most importantly Bran, into thinking that he is actually dead. As for why would a Faceless Assassin agree to play the role of Littlefinger? The answer is that they are allies and they have been working together for many years. The idea does sound far-fetched at first, but when you think about it, it actually makes a lot of sense. After all, Littlefinger's great grandfather is from Braavos and Baelish's keep is located just across the Narrow sea from Braavos. — Game of Thrones Season 8 theories (@GOTS8theories) 01. фебруар 2019. There's also the fact that Littlefinger had an iron coin of Braavos in his possession. And if there's one thing we know about that coin, it's that it has tremendous value. As MrSilenceT puts it: "One can't simply buy an Iron Coin, you have to have done something outstanding to the Faceless Men to earn one. This further implies that that Littlefinger has done an action of great value in the past for the Faceless Men to be willing to die in his stead. He could have save the life of one or many Faceless Men, which would mean that the Faceless Man owned Littlefinger a debt of life." But even if this theory is correct and Littlefinger is alive and well, what would his role in "Game of Thrones" season 8 be? Well, I am glad you asked. Also, footage for Season 8 was revealed. When you think of Azor Ahai, the legendary hero destined to defeat the dead, Jon Snow, a classic hero, is probably the first person that comes to mind. But what if it's someone else, someone who has the smartest and most magnetizing dialogues in the entire series: Petyr Littlefinger Baelish. His story matches with Azor Ahai and the Lightbringer's legend in the books. And the name Littlefinger is oddly similar to "Lightbringer," so there is that. According to the legend, Azor Ahai needed to forge Lightbringer, the hero's sword, in order to fight the darkness. "First he labored for thirty days, but when he tried to temper it in water, the sword broke." The following quote from the books describes Littlefinger's duel with Brandon Stark: "Brandon was a man grown and he drove Littlefinger all down the water stair raining steel on him with every step until the boy was staggering and bleeding from a dozen wounds." The next part of the legend reads: "To temper it the second time, he drove the sword into the heart of a lion, but the sword broke once again." Littlefinger conspired with Olenna Tyrell to murder Joffrey, a lion. Lightbringer was finally forged when Azor Ahai called for his wife Nissa Nissa and drove the sword into her heart. "He drove his sword into her breast, her soul combining with the steel of the sword, creating Lightbringer, while her cry of anguish and ectasy left a crack across the face of the moon." And Littlefinger killed Lysa Arryn, his Nissa Nissa, by pushing her through the moon door. "Azor Ahai will be reborn amidst salt and smoke," the prophecy states, and maybe, just maybe, Littlefinger could re-appear in King's Landing amidst all the chaos and kill the Night King with the Valyrian steel dagger. And in the end, he could even sit on the Iron Throne and finally become the King of the Ashes. The biggest deception of the Night King was also revealed. Varys described Littlefinger to Olenna Tyrell in"Game of Thrones" Season 3 Episode 4 as "He would see this country burn, if he could be the King of the Ashes." If this theory turns out to be true, then Littlefinger was the hero all along. The little hero who defeated the big villain. I do realize, however, that people don't like Littlefinger. In fact, most people hate his guts, but that fact doesn't make this theory any less believable. As George R. R. Martin himself would put it: "The protagonist doesn't have to be likable, or moral or a good guy, he just has to be interesting."